322 pages | 79 B/W Illus. The majority of books in English on historic building conservation and heritage preservation training are often restricted to Western architecture and its origins. 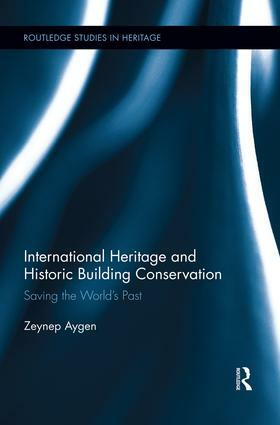 Consequently, the history of building conservation, the study of contemporary paradigms and case studies in most universities and within wider interest circles, predominantly in the UK, Europe, and USA focus mainly on Europe and sometimes the USA, although the latter is often excluded from European publications. With an increasingly multicultural student body in Euro-American universities and with a rising global interest in heritage preservation, there is an urgent need for publications to cover a larger geographical and social area including not only Asia, Australia, Africa and South America but also previously neglected countries in Europe like the new members of the European Community and the northern neighbour of the USA, Canada. The inclusion of the ‘other’ in built environment education in general and in building conservation in particular is a pre-requisite of cultural interaction and widening participation. International Heritage and Historic Building Conservation assesses successful contemporary conservation paradigms from around the world. The book evaluates conservation case studies from previously excluded areas of the world to create an integrated account of Historic Building Conservation that crosses the boundaries of language and culture and sets an example for further inclusive research. Analyzing the influence of financial constraints, regional conflicts, and cultural differences on the heritage of disadvantaged countries, this leading-edge volume is essential for researchers and students of heritage studies interested in understanding their topics in a wider framework. Zeynep Aygen is the Course Leader of the MSc Historic Building Conservation at the University of Portsmouth. She is a fellow of the Higher Education Academy, a member of Forum UNESCO University and Heritage Network and a member of IHBC, Institute of Historic Building Conservation.